The Last Straw: Why Do Oceans of Disposable Plastic Go Largely Unaddressed? By now, six million people and counting have viewed this disturbing viral video of a sea turtle in bloody distress as two researchers work to extract a 4-inch plastic straw stuck in his nostril. The plastic was lodged in the turtle’s nasal cavity, reaching down into his throat, inhibiting his breathing and sense of smell—a turtle’s most important tool for finding food. There’s no telling how long the turtle was swimming around with the straw in its nose, but there’s little doubt it was affecting the turtle’s orientation and migration, and possibly even hindering his ability to find a mate. Watching the video makes me reflect that, while the environmental movement—and the planet—won a major victory earlier this month when President Obama rejected the Keystone XL pipeline (another giant straw sucking dirty fossil fuels out of the ground), the oceans of disposable plastic right in front of our own noses go largely unaddressed. When Figgener saw the turtle, she thought, “Is it a straw? Don’t tell me it’s a frickin’ straw.” You can hear her German-accented voice of exasperation and determination in the video. “We’ve been talking about the detrimental effects of straws for years, but seeing that video, as horrible as it was, is what we needed to wake people up,” Figgener said in an interview with Plastic Free Times. More than 500 million disposable straws are used in the United States every day, and plastic straws are among the top items found in beach cleanups. Fish in the North Pacific ingest 12,000 to 24,000 tons of plastic each year, which can cause intestinal injury and death and transfers plastic up the food chain to bigger fish and marine mammals which suffer from entanglement in plastic debris, leading to injury and even death. Sea turtles mistake floating plastic garbage for food. While plastic bags are the most commonly ingested item, loggerhead sea turtles have been found with soft plastic, ropes, polystyrene foam, and monofilament lines in their stomachs. 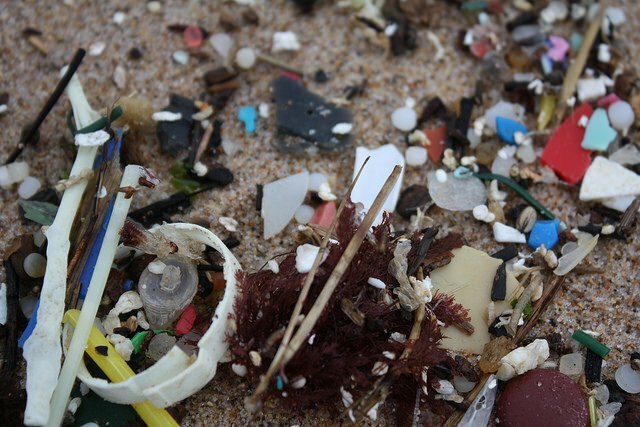 Plastic debris floating in the seawater absorbs dangerous pollutants like PCBs, DDT, BPA and PAH—highly toxic chemicals in concentrations of 100,000 to 1 million times that of surrounding waters, which cause endocrine disruption and cancerous mutations. Fish eat them and then we eat the fish. The turtle featured in the film was a sexually mature Olive Ridley male—an endangered creature, found in waters between Playa Nancite (Santa Rosa National Park) and Playa Cabuyal, off the Pacific shore of Costa Rica. Olive Ridleys are thought to reach sexual maturity at about 12 years, and may live up to 50 years, but researchers don’t know for sure. “So our guy should have been somewhere between 12 and 50 years old,” Figgener surmised. Natural predators are numerous, including sharks, killer whales and big fish. But the notoriously slow turtle cannot outrun a dog or a raccoon drawn to its nesting place because of someone’s trash that is strewn on the beach. Nor can it always tell a piece of plastic from a tasty crustacean in the water. Figgener said the turtle may have ingested the straw while looking for food on the seabed. Perhaps he “gagged on it, regurgitated it and it ended up in the wrong passageway." Without their permit for temporal removal of the turtle from its ocean habitat, Figgener said her team could have gone to jail. But after working in Costa Rica for almost a decade, they knew there was no vet around the corner, especially one specialized in reptiles. So they acted, and they filmed it. Join the movement to refuse single-use plastic straws. Take the pledge. Los Angeles-based International multi-media visual artist, painter and curator Dianna Cohen is best known for her two-dimensional and three-dimensional works using upcycled used plastic bags – sewn together – ranging from small hanging pieces to room-sized installations. She is the CEO and Co-Founder of the Plastic Pollution Coalition, a global alliance of over 400 Organizations and Businesses working together to STOP plastic pollution and to raise awareness about the toxic impact of single-use and disposable plastics on the Ocean, the environment, animals and human health. Cohen has shown work internationally at Galleries, Foundations and Museums.